Both congenital nephrotic syndrome of Finnish type (CNF) and diffuse mesangial sclerosis (DMS) represent major histopathologic patterns resulting in congenital nephrotic syndrome associated with genetic defects. CNF typically results from germline mutations in the NPHS1 (nephrin) gene that plays a role in the normal structure and function of the podocyte slit diaphragm, whereas DMS is most frequently associated with germline WT1 gene mutations that impair transcription of downstream genes involved in normal podocyte function. The importance of distinguishing these two entities lies in the frequent association of DMS and WT1 mutations with Denys-Drash syndrome (DDS) phenotype. Besides DMS, the DDS phenotype is characterized by variable degrees of gonadal dysgenesis in XY individuals, and an increased risk for the development of Wilms tumors and gonadal neoplasms (see Royer-Pokora et al, Auber et al, Lipska et al). Therefore, identification of the latter is crucial for appropriate patient management. Clinical features are usually helpful in distinguishing a diagnosis of CNF from DMS: CNF typically presents at an earlier age with frequent prenatal manifestations in contrast to a later onset for DMS. DMS more commonly results in a rapid progression to kidney failure and severe hypertension than CNF. However, the clinical manifestations for both conditions are variable, and a subset of DMS cases can also present within the first weeks of life. 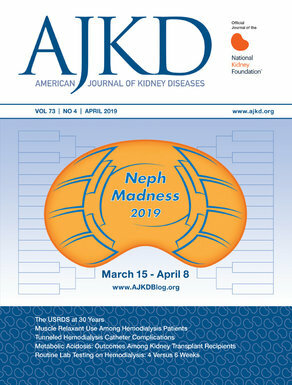 Although the kidney biopsy can play an important role in ruling out other causes of congenital nephrotic syndrome (such as infectious or idiopathic), distinguishing CNF from DMS can be challenging in a subset of cases as both entities are characterized by an overlapping spectrum of glomerular changes without pathognomonic findings. By light microscopy, the most characteristic findings in CNF and DMS are mesangial hypercellularity and increased mesangial matrix, respectively. Characteristic glomerular changes in CNF (left), showing increased mesangial cellularity in the absence of matrix expansion, in contrast to the increased, reticulated mesangial matrix and normal cellularity in DMS (right). PAS-D stain, 400X. Courtesy of Dr. Mariana Cajaiba. However, these findings are not specific and have been described in both entities. Similarly, both lesions can present with normal glomeruli at earlier stages, and more advanced lesions can show focal segmental and global glomerulosclerosis, podocyte hypertrophy, and pseudocrescents, causing diagnostic confusion. In addition, cystic tubular dilation can be seen in both CNF and DMS, progressing to interstitial fibrosis and tubular atrophy in advanced cases. For both entities, immunofluorescence studies show no evidence of immune-complex deposition, and the electron microscopy findings are identical, characterized by extensive foot process effacement and nonspecific podocyte alterations. In summary, the overlapping clinicopathologic features seen between CNF and DMS can be a limiting factor in establishing a definitive diagnosis for these entities in a subset of cases, and molecular testing should be considered (see Lipska et al, Machuca et al, Kari et al). Both entities are typically refractory to immunosuppressive therapy, and managed with bilateral nephrectomy and kidney transplantation. Although there are no well-established guidelines for their management, DMS patients with DDS phenotype may warrant earlier prophylactic nephrectomy due to the increased risk for bilateral Wilms tumors. In addition, XY patients require multidisciplinary management for their gonadal dysgenesis phenotype, which may result in abnormal genital development and an increased risk for gonadal neoplasms.